To America it is possible that fact concerns on a miscellaneous, but that among Americans there are many patriots, and to citizens of this country, actually, is than is proud, it would be extremely difficult to challenge. They remember great achievements of the native land, and periodically remind of them to other world. 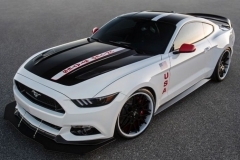 As one of such reminders also serves Ford Mustang Apollo Edition which we will discuss more about here today. 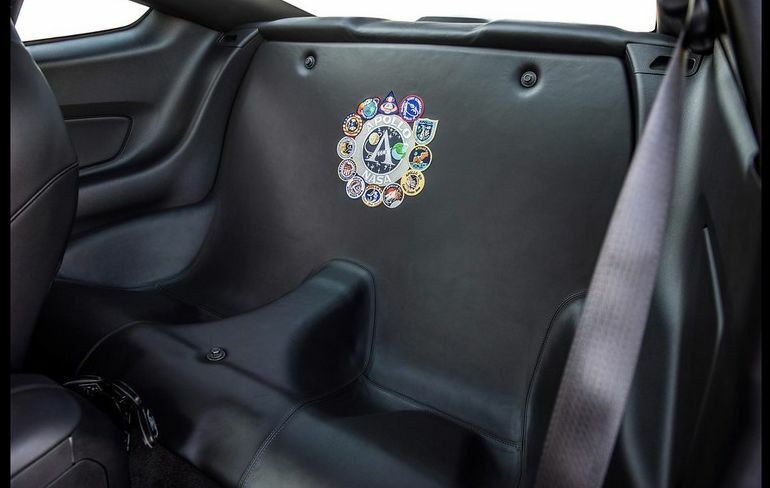 As you probably guessed, the name, Ford Mustang Apollo Edition, received in honor of the outer space exploration program — “Apollo”. 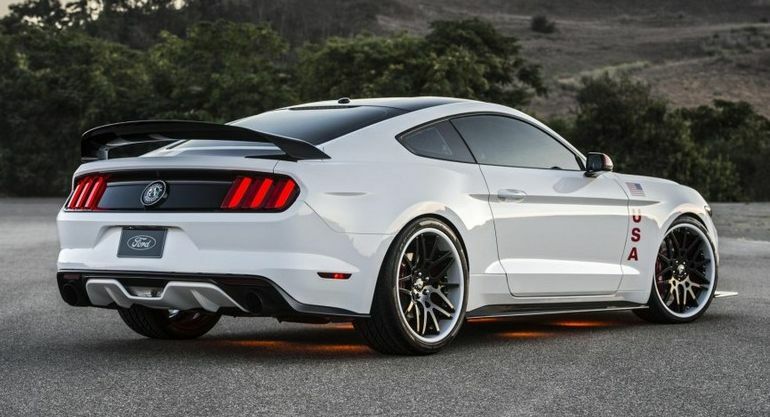 Company FORD exhausted only one, unique Mustang GTI constructed on a platform, the car. Apollo Edition has been exposed on auction, passing 23th July of 2015, at a meeting of fans of aircraft and flights in space. The unique car has been sold for 230 000$. 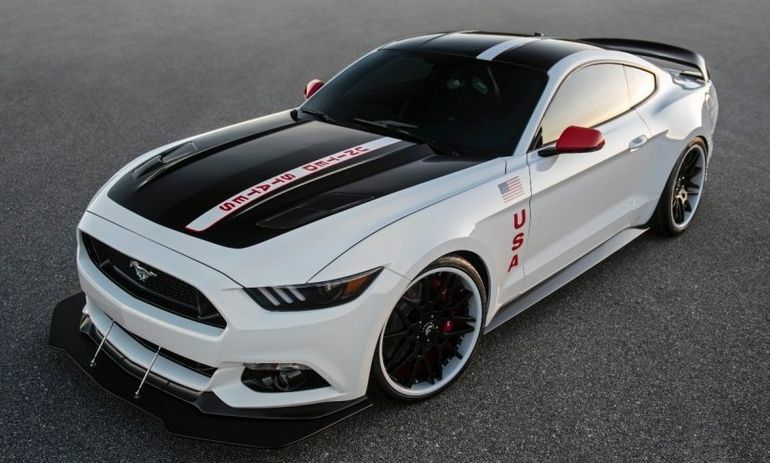 For comparison, — Mustang GTI who formed base for Apollo Edition, in the USA is on sale for 30 000$. The gain received from sale of this car, went on the program on preparation of the pilots, named — Young Side panels. 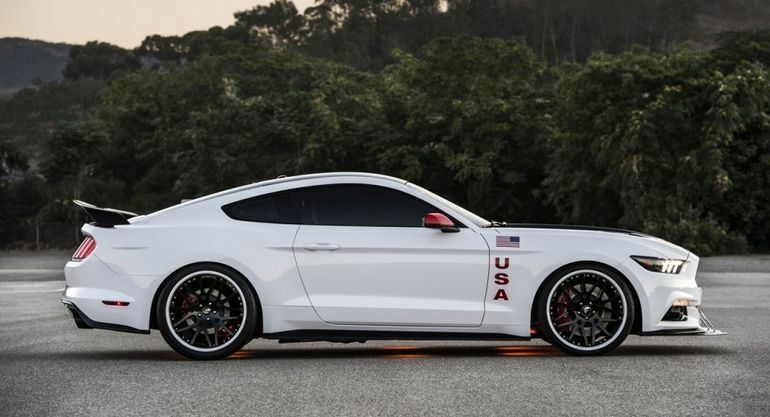 Look at a photo Apollo Edition’s Mustang: — flags of the USA, inscription UNITED STATES on a cowl, fma1.1 is all should cause patriotic feelings among Americans. Here again I should tell, — as do not abuse and do not accuse Americans of all problems of the world, but unless such approach is not reputable? Pay attention on massive, carbon splitter — in front, lateral skirts, and bulky enough rear wing on a cover багажника.fma1.2 Apollo Edition’s Bottom is equipped by illumination. 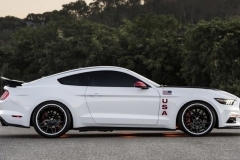 By a technical part it is necessary to notice that the unique Mustang is equipped by forged wheels Forgiate, diameter of 21 inch. Apollo Edition’s the equipped weight makes 1680 kg. So, here the person also paid in addition 200 000$. 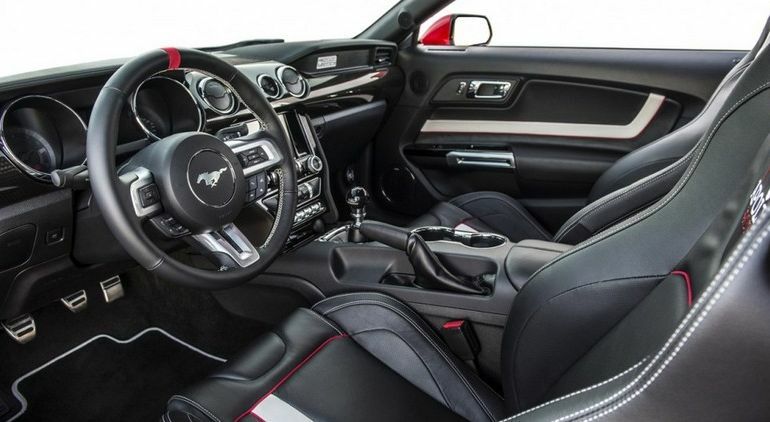 The interior of this Mustang is finished black, with white inserts, a skin, and stitched by a red thread. This all looks actually stylishly and expensively, but it is more important — symbols with which in FORD decorated this rare car. So pay attention to a partition interior and a luggage compartment: — it is decorated by an emblem with the image of all missions “Apollo”. Rugs there is an inscription — USA (and it is not necessary to say that it for those who wants to wipe feet about America), thresholds are decorated by moldings with inscription APOLLO EDITION, special emblems are and on armchairs. Under Apollo Edition’s cowl it is established five-liter V8 (as on GTI), but here it is added by a mechanical supercharger, + the exhaust system has been processed. 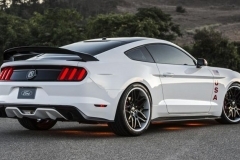 These measures allowed transferring to rear wheels 627 HP and 731 HP. From a place to 100 km the American race car is dispersed for 3.8 seconds, and maximum speed of such car — 310 km/h (193 mph). Whether there is this car 230 000$ in the technical plan? I think that was not present, after all already for 70 000$ it is possible to buy Cadillac ATS-V which not too that and concedes to a surveyed super coupe in high speedways. But here important another, is an exclusive which not only amuses soul to the present patriot of America, but also can become rather expensive active in the future. It is the car — a reminder, and it undoubtedly bears in herself spirit great, that, than the great country can brag only on the present.